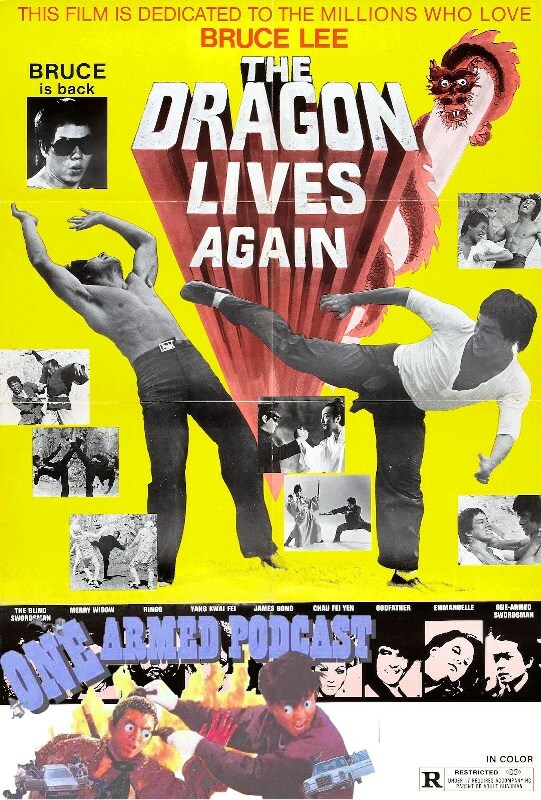 Co-hosts achillesgirl and Steve Hardy (Chopsticks On Fire) celebrate the amazing, absurd world of the Brucesploitation film The Dragon Lives Again. Under the microscope: Leung Siu Lung, Leung Siu Hung, director Law Kei, Frankie Chan Fan Kei and Eric Tsang in a Popeye suit. Also see the The Dragon Lives Again – Companion blog post. Contact the show via email at onearmedpodcast@yahoo.com, the One Armed Podcast blog, Facebook group or Twitter (@podcastonfire, @onearmedpodcast) and SUBSCRIBE to our iTunes feed.